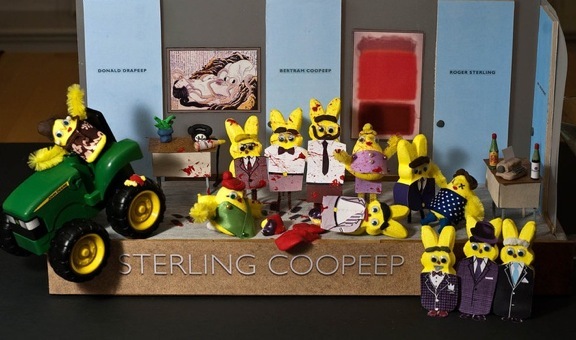 The Washington Post held a peeps contest. Using the beloved marshmallow confectionary to recreate a pop culture moment. This beauty displays some of the shenanigans of Sterling Cooper. It's as close to a Mad Men fix we are going to get for a while. "Nostalgia: It's delicate, but potent."